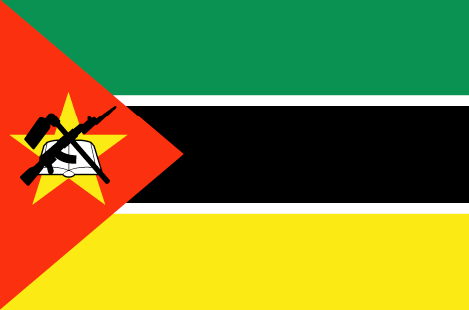 Pemba, capital of the province Cabo Delgado, is a port located about 300 kilometres south of the Tanzanian border. The city lies on the south shore of Pemba Bay, the third largest bay in the world. The population mostly depends on fishery and is very poor. The municipality donated a twenty hectares plot of land on the outskirts of Pemba, in an area were five former villages were integrated into the urban area of Pemba without losing their original rural character. Since there were scarcely any schools or hospitals in the area, the SOS facilities were welcomed by the people from the neighbourhood and this contributed tremendously to the integration and acceptance of the SOS Children's Village. The architecture was adjusted to the local style and local construction material was used whenever possible. The official opening of the SOS Children's Village Pemba took place on 4 October 2002 in the presence of Helmut Kutin, president of SOS-Kinderdorf International, and numerous honorary guests. The SOS Children's Village Pemba comprises fifteen family houses for up to 180 children, a workshop, an administrative building as well as houses for the village director and the SOS aunts (who support the SOS mothers and take care of the children when the mothers are on leave). The SOS Kindergarten has a capacity for up to 150 children in four rooms and includes a playground. Up to 1,550 students can be offered primary and secondary school education at the SOS Hermann Gmeiner School in 24 classrooms. In summer 2002 an SOS Social Centre was added, offering home-based care, supporting two community kindergartens with nutritional programmes for between 100 and 120 children each, and running a school placement programme. Additionally, measures are taken to improve the living conditions of HIV/AIDS affected families and to offer them psycho-social support. The aim of this facility is to support and strengthen socially and economically disadvantaged families, avoiding their breakdown and in this way enabling the children to grow up with their biological relatives. Up to 2,000 children and their families per year receive support through this outreach programme. Another SOS Social Centre was set up in Chiuba in 2007, giving help and support to around 500 children.